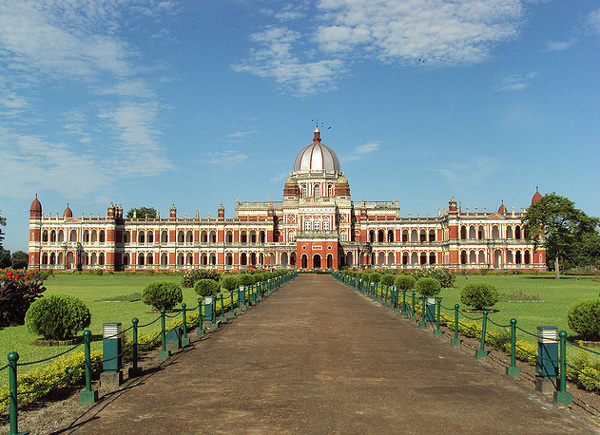 Places to see in Mekhliganj: A lush tea estate, the Saniajaan River skirting across the villages and rice fields, a scattered jungle, River Teesta and the Tin Bigha Border Checkpost – all are located nearby. The ceremonial border closing between India and Bangladesh at nearby Tin Bigha Border Checkpost is one of the best attractions here. The Tin Bigha Corridor is a strip of land belonging to India on the West Bengal–Bangladesh border, which in September, 2011, was leased to Bangladesh so that it can access its Dahagram–Angarpota enclaves. Nearby attractions of Mekhliganj: Mekhliganj is quite far from any popular touristic destination. 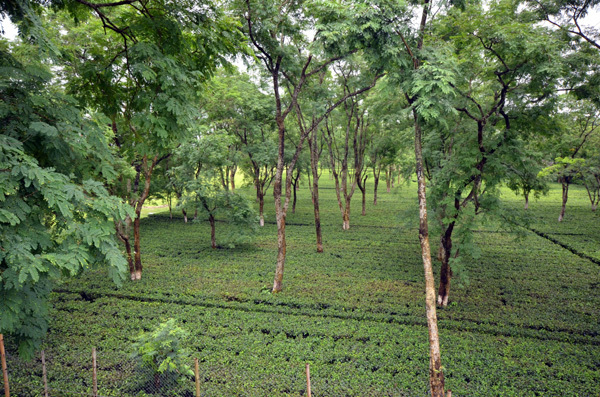 This makes Mekhliganj an ideal place to spend a few days in bliss within a tea estate far from the madding crowd. Moreover, Mekhliganj is becoming popular as a destination where tourists can wind up their hectic Dooars Itinerary and spend the last couple of days of their Dooars trip in nature’s cradle enjoying all earthly comforts. Mekhliganj is around 55 kms from Gorumara National Forest, around 105 kms from Jaldapara National Forest, 90 kms from Gorubathan and 82 kms from Cooch Behar. 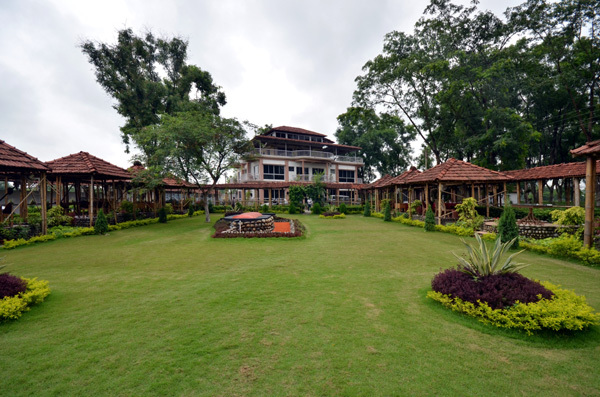 If you are planning a trip to Dooars this year, then try to keep Mekhliganj Tea Resort in the last leg of your itinerary. Things to do in Mekhliganj: If you are planning to spend few days doing nothing, then Mekhliganj can be your ideal choice. 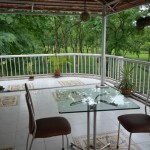 You can take a nature walk along the bank of Saniajaan River or within the tea estate. 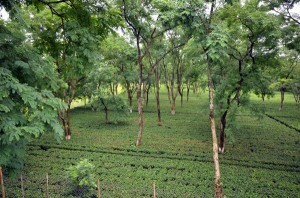 You can see tea plucking and even try yourself to pluck a few leaves in the tea garden. A visit to some local villages or the mighty River Teesta can also be in your cards. Another major attraction is the Tin Bigha International Border Checkpost just a kilometer from the resort. You can witness the ceremonial Border closing at Tin Bigha Corridor between India and Bangladesh every evening. How to reach Mekhliganj: Mekhliganj is 86 kms from Siliguri, 98 kms from Hasimara and 105 kms from Alipurduar. So you can reach Mekhliganj from anywhere in the Dooars region. Geographically Mekliganj is located in Cooch Behar District. Best time to visit Mekhliganj: You can visit Mekhliganj anytime of the year. The rivers and greenery bloom during the rainy season and the sparkling winter brings a whole lot of birds here. 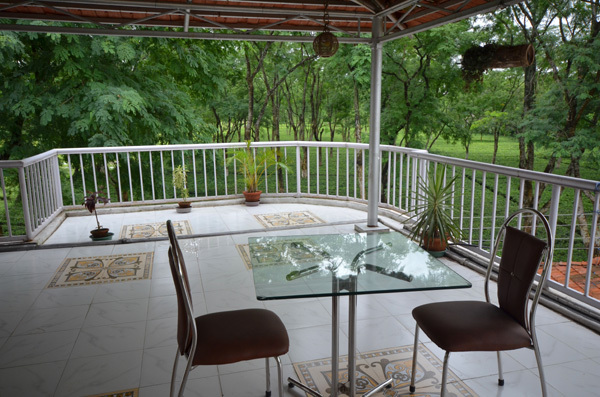 Lodging and Food at Mekhliganj: All modern amenities have been packed in this fully Air Conditioned cozy resort to give the city traveller every luxury he deserves to shrug his year long stress. You can start with a dip at the resort’s swimming pool and enjoy the mesmerizing views of the tea garden from your extra spacious AC room, which is decked with draping curtains, LCD TVs, attached western bathrooms, sitting area and terraces hanging over the tea gardens. The Mekhliganj Tea Resort has sprawling lawns, a beauty salon, an ethnic bar, a conference hall, a dining area, an extra-large lounge and a terrace overlooking the Saniajaan River and tea gardens. You can taste some great food ranging from Continental to Chinese and certainly ethnic Indian in the resort.